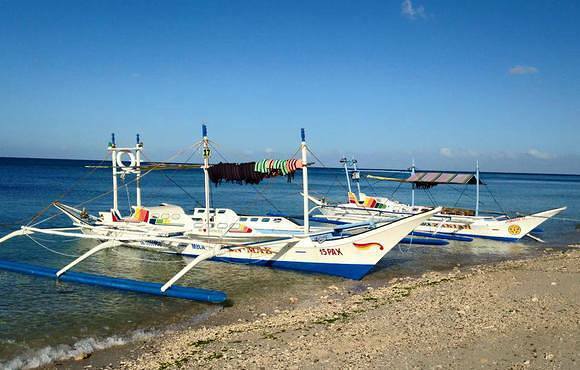 Carabao is only 30min away from the world famous Boracay. 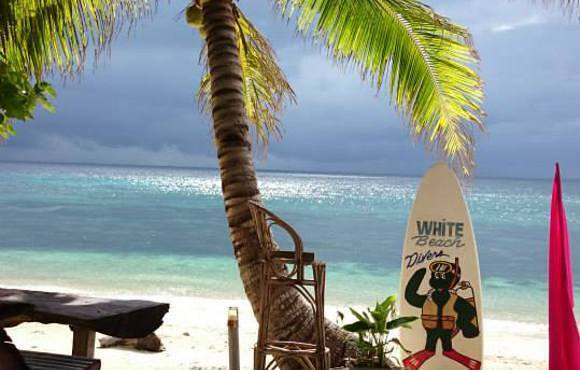 If you want to get away from the busy Boracay and enjoy the real Philippine country with friendly people, you will love Carabao. 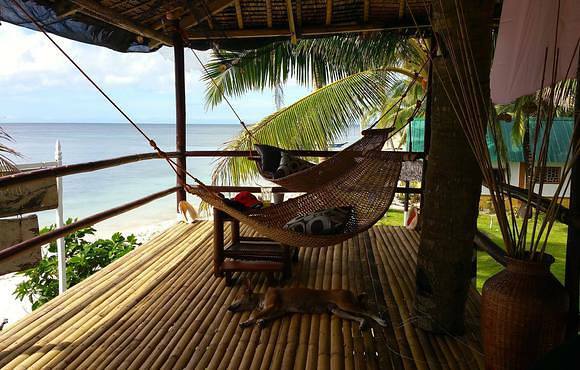 Carabao is what Boracay was 20 years ago with lots of nature and empty beaches. 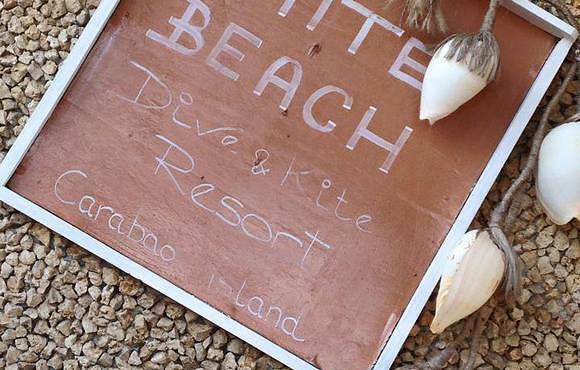 The White Beach Dive & Kite Resort is right on the beach next to the fishing village of Lanas. 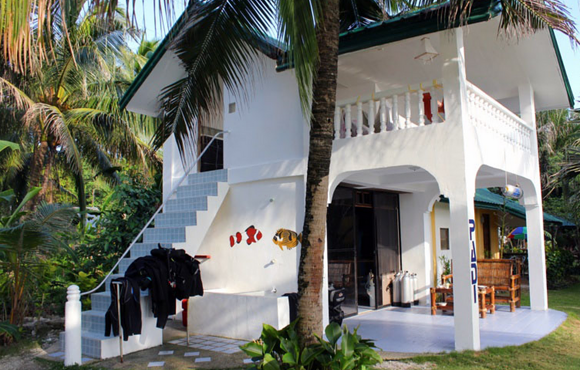 12 comfortable cottages make sure, that you can relax perfectly. 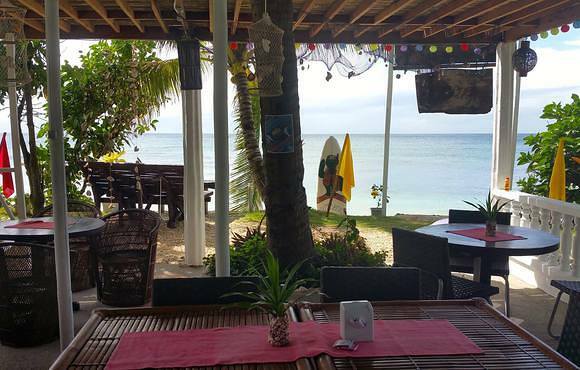 The bar serves cool and exotic drinks and the restaurant cooks only fresh food for you. 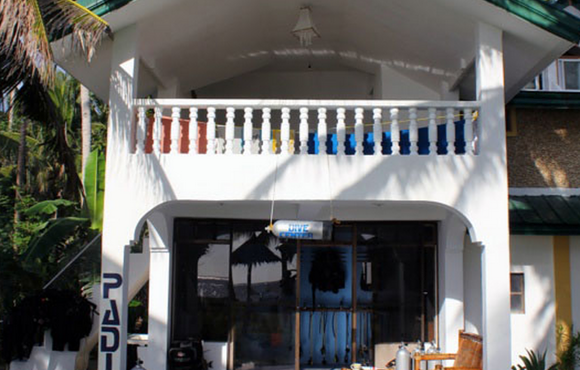 We go daily to the market to choice only the fresh fish or veggies for our guests. In between shoot some pool or have a dip in our Jacuzzi. 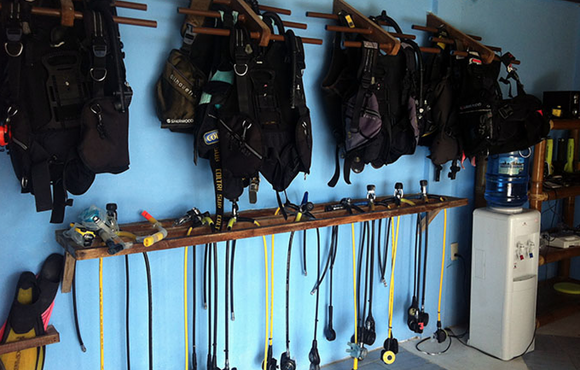 For you recreation we have a fully equipped dive shop, managed by a PADI instructor, The kiting/wind surfing center offers rental equipment and kiting courses. 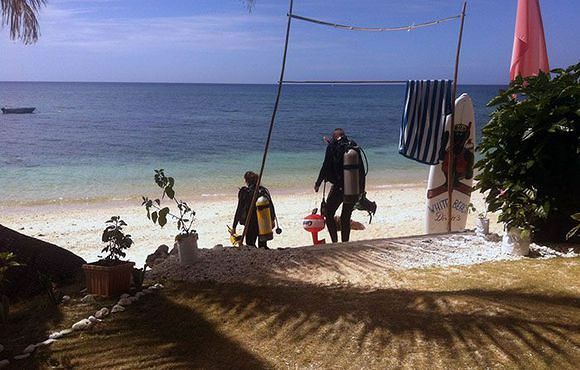 We have also mountain bikes for rent and organize snorkeling and sailing-trips daily. 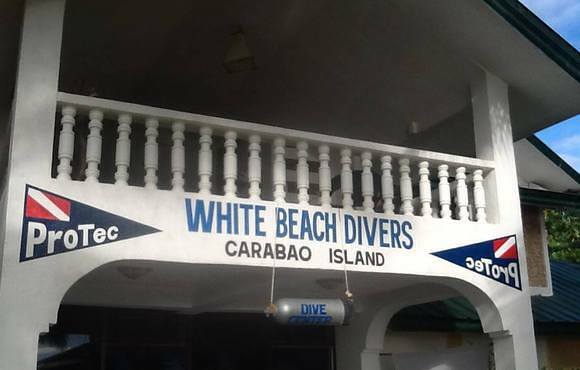 I have done two weeks of diving with the team of White Beach Divers. 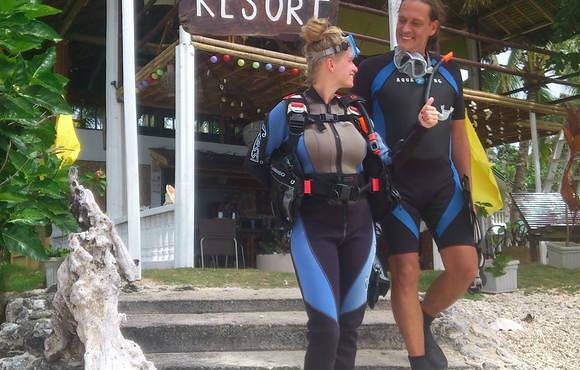 Most of the time Nadja was my dive buddy, very professional She showed me the best site to dive. The equipment was good and the boatmen always friendly. My best dive was at the Cathreal Cave. We were lucky to see a manta. He was pretty elusive, but he popped up a second time towards the end of the dive. I stayed at the resort and Jurgen the manager made sure to keep me happy. Daily fresh food from the market, yummy. 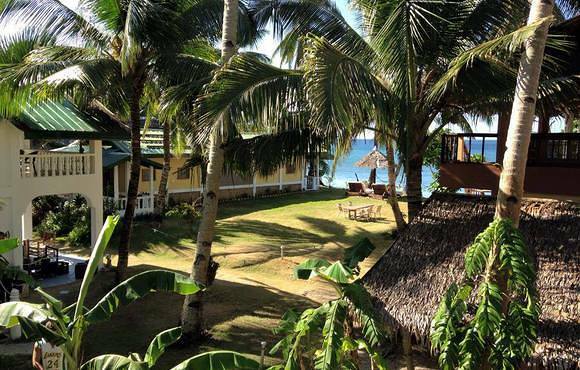 The resort is a diamond, it is quiet and has a certain beauty you hard to find anywhere. Only the power cuts every so often were not too great. My favorite past time challenge the staff for a game of pool.